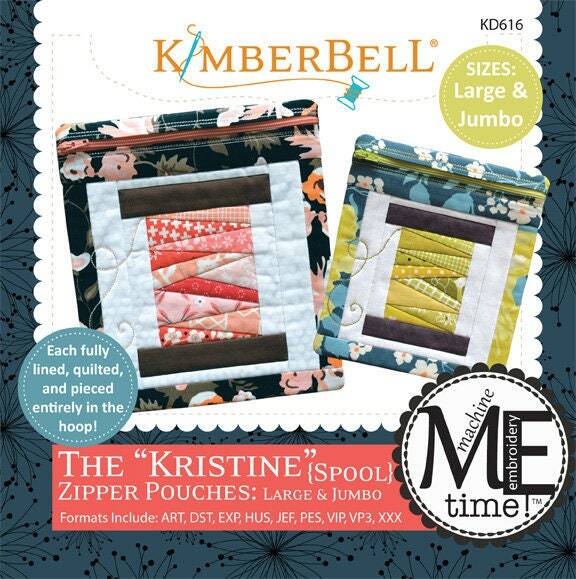 The “Kristine” zipper pouch includes piecing and quilting all in one hoop! Each has a pieced “spool” and the zipper pouch is lined and shows no raw seams or stabilizer! What a great way to showcase “piecing” in the hoop, as well as how fun and easy an in-the-hoop project can be! 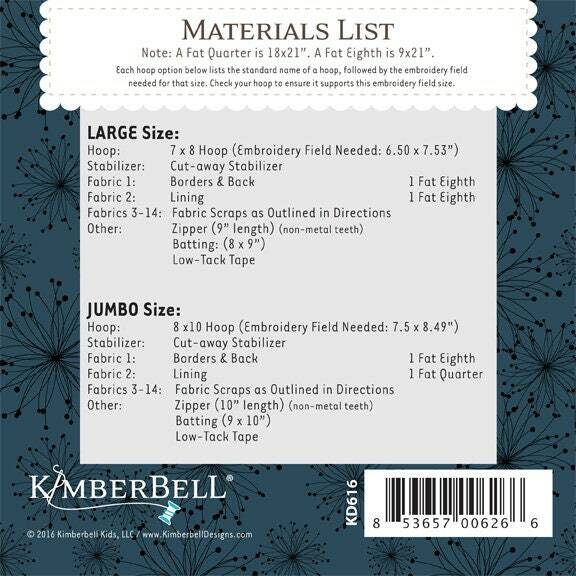 *Since embroidery fields vary for different brands and sizes of hoops, please be sure that the embroidery field listed above will be the right size for your particular hoop.